In May 2016 I was in Johannesburg to pick up the first 100 Megapixel digital camera back in Africa from Brett May, Phase One’s representative here in Africa. We had purchased the Phase One XF camera with the IQ3 80 Megapixel back toward the end of 2015 and less than a month later Phase One announced the launch of the IQ3 100 Megapixel back. 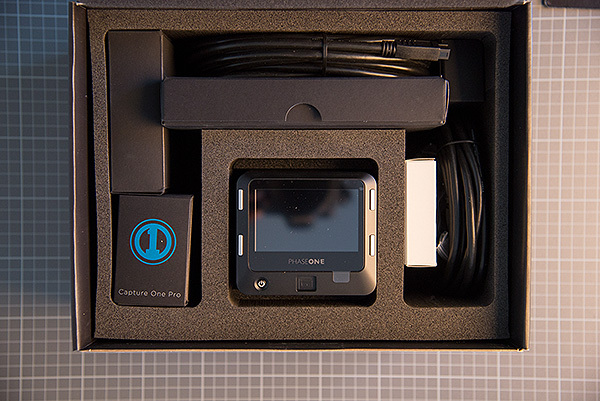 Phase One had a backlog of orders for the IQ3 80 Megapixel and so when delivering our XF camera, they delivered it with a stand in IQ2 80 Megapixel back. So we had not even received the back we had ordered by the time the new back was announced. Not to be outdone, I got in touch with Brett to enquire what would it take to take delivery of a IQ3 100 Megapixel rather than the 80 Megapixel we ordered. Brett worked hard to get a good deal on the upgrade for us and so in May we did the swap, the IQ2 80 Megapixel for the first IQ3 100 Megapixel in Africa. Opening the box – the Phase One IQ 100 Megapixel digital back arrives at our offices in Pietermaritzburg. A first in Africa! So what can 100 Megapixels contribute to the service we can provide at Africa Media Online? Well, a single shot from the camera in 16 bit produces a 600 MB file. That is almost the size of a CD per shot. And this is on a medium format camera system which already significantly outplays 35mm camera systems in the capture of fine detail. Our use of the camera so far, in a range of projects, has given us a taste of the incredible detail that can be captured. It has to be seen to be believed really and we hope to showcase what it can do in future posts. We now have the capacity to fully conform to Metamorfoze Strict and FADGI 4-Star standards, two standards for colour accurate digital capture of heritage resources. In the case of Metamorfoze, we can now capture at Metamorfoze strict at significantly larger than 2AO size. The camera also takes the new CMOS technology to a level that has never been seen before in a commercially available camera. CMOS technology has some significant advantages over the older CCD technology, particularly in allowing less noise at higher ISO. The back also allows of an industry leading 15-stops of dynamic range. In terms of serving our clients in capturing natural and cultural heritage collections, two further significant features are, firstly, unlike 35 mm equivalents, the back captures in full 16-bit per colour channel giving incredible subtlety in colour rendering, and secondly, the latest firmware update enables an electronic shutter on the camera which means that captures can be made without any moving parts. That is highly significant for the capture of very fine detail in natural and cultural heritage collections such as when focus stacking. The camera has been used in many and varied projects over the past 9 months and still it amazes me every time I zoom into the fine detail of a heritage object or a natural history specimen.